Remember how scary Hannibal Lector seemed when you first saw him in that prison cell? Well, imagine how scary he’d be if he was singing a showtune. OK, not that scary. But it’d be funny, and that’s what Silence! 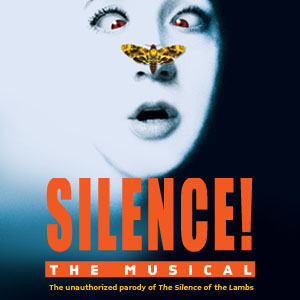 The Musical is bringing audience’s with a musical comedy version of Silence of the Lambs. Stage Rush is hooking three Rushers up with a pair of tickets to the show. The giveaway will end on Friday, October 28. I will notify the winners through email, Facebook, and/or Twitter private message. The winners must be able to attend the show by November 17. The tickets are not valid for resale. Tickets are provided by Silence! The Musical.